Boat Race Day generally marks the end of the winter head racing season and the start of the summer sprint regatta season. 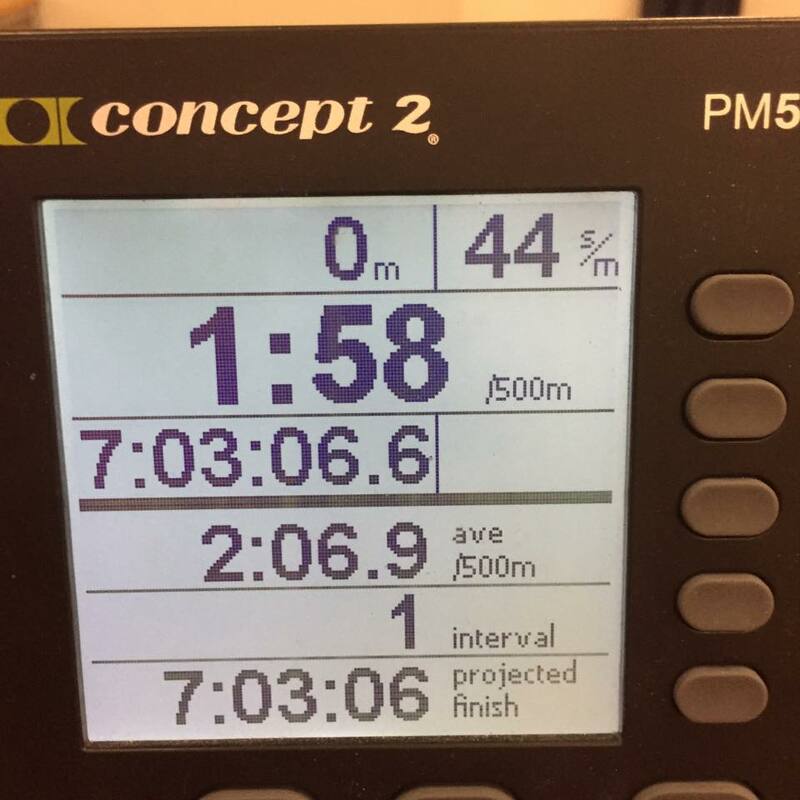 This year’s races took place on Sunday April 7th, and while most media attention was focused on James Cracknell becoming the oldest competitor in the Boat Race’s 165 year history, Cambridge took the honours in both men’s and women’s races. In recent years the event has also provided the club with an opportunity for celebration by staging a Boat Race Ball, and judging from comments passed by those who attended, this year’s Ball on the evening of Saturday April 6th was the usual enjoyable occasion. 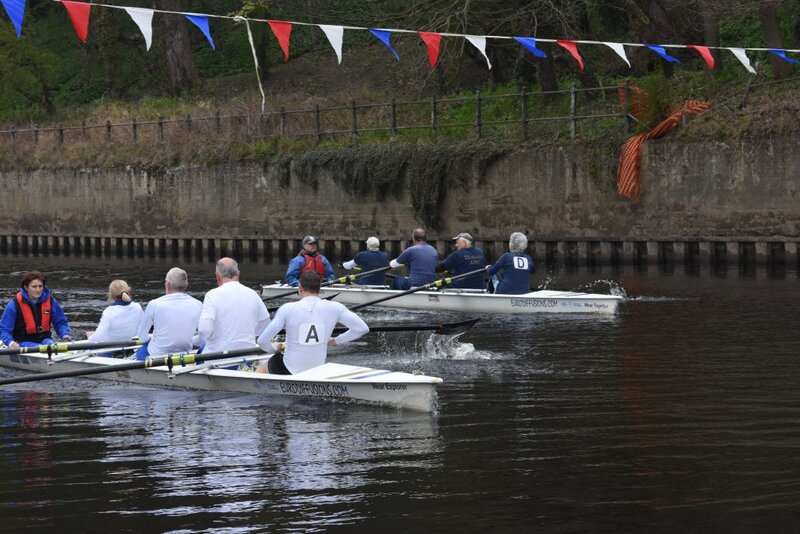 Because of the late Easter and the need to find a scarce empty slot in the already packed racing calendar the regatta season got off to a flying start with the first of the Northern regattas brought forward to take place at Chester-le-Street the day before the Boat Race. Durham ARC’s Juniors and Masters were in action and came away with victories in four events, the J13 4x+, WJ15 4x+, WJ14 4x+ and WMas E 2x. Full results are here. The trend for the Boat Race to occur on Sunday rather than Saturday presents a modicum of organisational difficulty in that the club celebration now takes place prior to the event itself, but this at least offers partygoers an excuse for extra recovery time. There was added interest on Boat Race Day with the arrival of the Cricket World Cup trophy in Durham for its 3-day tour of the region prior to stumps being pitched in May, and after a brief stop at the Durham ARC landing stage it was rowed along the River Wear, pausing at the Riverwalk Centre and Market Place before going on display for the remainder of the day at Durham Cathedral. 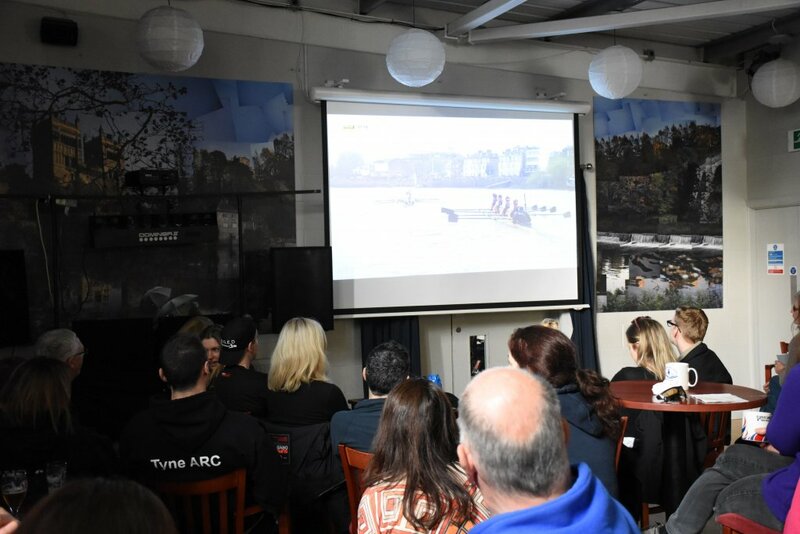 Next on the agenda was the second round of the Sunday League, Durham’s turn to host the sprint competition over a 300 metre course for novice and recreational rowers from clubs around the Northern region, who have been joined this year by a crew from Sheffield representing the Yorkshire region. Fourteen teams entered and some close and exciting racing ensued. Winners on the day were It’s Chico Tyne in the open league and Tynequila in the women’s league. Both now lead in their respective leagues, with Close Encounters from Durham ARC winning 3 of their 4 races to hold on to joint second place in the open league along with Tynemouth Buoys, despite having an average age of 70. An early start and some efficient organization by the team of volunteers enabled racing to wind up in time for a curry lunch before members and visitors settled down in the bar to watch the Boat Race drama unfold on TV, a successful and very enjoyable day with around £450 raised for club funds through the Boat Race sweepstake, share of Sunday League entry fees and catering proceeds. Round 3 of the Sunday League takes place at Berwick on May 5th. 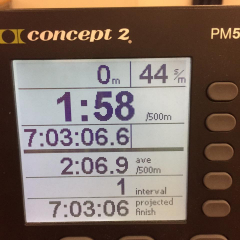 This entry was posted in Club News on April 17, 2019 by Colin Lawson. Durham Regatta has lost one of its most loyal servants following the death of long time commentator Keith Yates at the age of 79. Many will remember Keith as the voice of the Regatta for over 40 years. 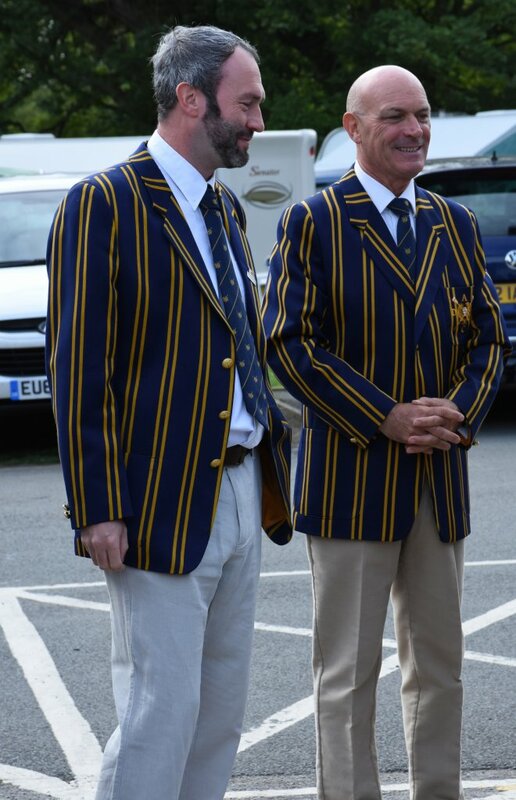 Although originally from Langley Moor he spent much of his life in the Midlands, returning to Durham each year in his role as the Regatta’s chief commentator. His links with the Regatta and with rowing in Durham go back a long way. Keith was educated at Durham’s Johnston Grammar School where he became involved with rowing as a cox in 1951. Later he coxed for Durham Constabulary and the Durham County Eight. He joined Durham Amateur Rowing Club in 1956 and first competed for the club at Durham Regatta in the Mayors Plate in 1957, before going on to become the first crew cox. With a regular line-up of F.Weatherley, W.T.Parker, I.C.Shepherd, H.Smith, and cox K.J.Yates, the senior four won the Grand Challenge Cup 5 times in succession between 1958 and 1962, also winning the Wharton Challenge Cup 4 times during the same period, and attended GB Trials at Henley in 1959. In 1962 Keith moved from Durham to Nottingham, and lived for many years in Melton Mowbray, Leicestershire. 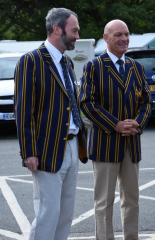 He was an honorary Vice President of the Regatta, and participated in every Regatta since 1953, as a cox, volunteer marshal, and, since 1976, as a commentator. His final commentary was in 2018. “Keith’s beloved Durham Regatta will continue, but without his lovely voice and the information that he so loved to share with members of the public,” said his widow Anne. Keith died suddenly in the early hours of January 1st. His funeral will take place at 11.30am on Wednesday 16th January at Sage Cross Church, Melton Mowbray. This entry was posted in Club News on January 8, 2019 by Colin Lawson. On Monday, October 29th we welcomed John and Caroline Turnbull from Weyfarers Rowing Club and British Rowing’s Recreational Rowing Committee, who joined the daytime rowers for a paddle before retiring to the clubhouse for soup and bacon sandwiches prepared by Gene and helpers, where they addressed members about the virtues of rowing tours. 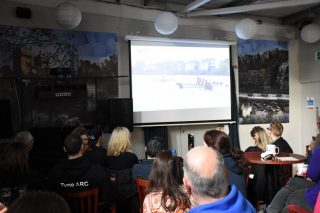 John and Caroline gave a report on this year’s touring activities including the 25th anniversary British Rowing UK Tour which took place on the River Thames in August and September. The 2019 UK tour will be to the Lake District, while the bi-annual European tour will be to Lithuania. Details will be available soon. It has been an exciting year for recreational rowing, with British Rowing securing a sponsorship deal with Charles Stanley Wealth Management in March for the provision of a package of stable touring boats, trailers and equipment, which are being made available for events around the country. Durham ARC members have also taken part in tours to the Norfolk Broads and on the Canal du Midi in France. The visit provided an opportunity for John to indulge in some reminiscing with Charly Curtis. The two were crewmates in 1967. Pictured (top) are Charly Curtis, Caroline Scholl, John Turnbull, Caroline Turnbull and Colin Percy (Northern Rowing Council). This entry was posted in Club News, Uncategorized on October 31, 2018 by Colin Lawson. 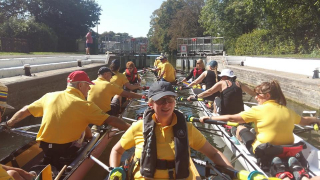 Rowers from Durham ARC took part in the 37th Rallye du Canal du Midi in August, an annual rowing tour taking in 200km of the Canal du Midi in Southern France. Now a World Heritage Site the Canal is a marvel of 17th century engineering, the work of engineer Pierre-Paul Riquet, connecting the Bay of Biscay to the Mediterranean Sea. Following on from their exploits at the Vogalonga in Venice in 2017 Gill Prescott, Helen McMillan and Caroline Scholl set off from Toulouse in a stable coxed quad on August 13th joining around 200 rowers from around the world on the 5-day journey to Beziers. Participants arrived from as far afield as South Africa, North America, Brazil and New Zealand as well as from France, Germany, the UK and elsewhere in Europe for what is a unique experience organized by the Association Toulouse Pierre-Paul Riquet. Other British representatives came from Weyfarers Rowing Club, the UK leaders in touring and recreational rowing. Their accommodation for the week was arranged in the fortified medieval city of Carcassonne, situated at the midway point of the route, with transport provided to and from the tour each day. Around 5 locks were negotiated daily by means of crews trolleying their boats round the lock to relaunch at the other side. Meal breaks were arranged alongside the canal and nothing was left to chance with a medical team on hand at the end of each day’s rowing to tend to blisters and minor ailments. As if that wasn’t enough crews rounded off the tour with some short sprint races against one another on the River Orb in Beziers on the final day before a reception at the town hall and departure for the journey home. This entry was posted in Club News on September 9, 2018 by Colin Lawson. 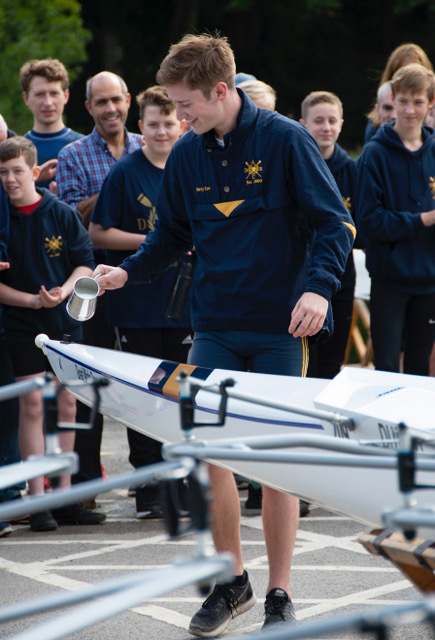 The annual British Rowing Tour took place over the weekend of August 31st to September 2nd 2018. 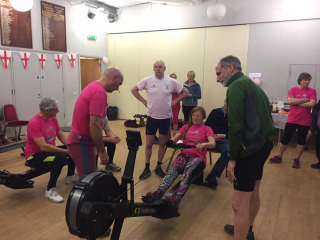 Being the 25th tour gave added cause for celebration for all those taking part, none more so than John and Caroline Turnbull from Weyfarers RC, chair and secretary of BR’s Recreational Rowing Committee, who first took on responsibility for organizing the tour in 1994. 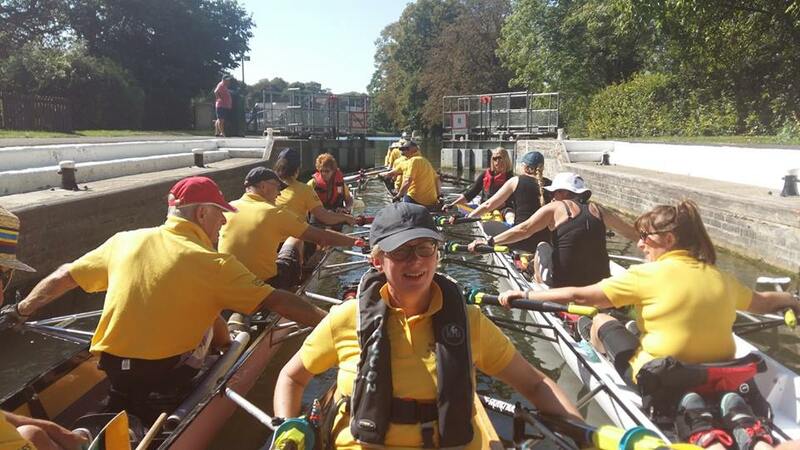 As in 1994 the 2018 tour took place on the scenic reaches of the River Thames, this time between Bablock Hythe and Mapledurham, passing through Clifton Hampden (above) and Oxford along the way, and visiting the boathouses of Oxford University. A list of previous routes can be found here. Touring takes place in stable recreational boats and is safe and straightforward but involves learning some specialist techniques, such as those for passing through locks. Weyfarers have produced some useful guidance. 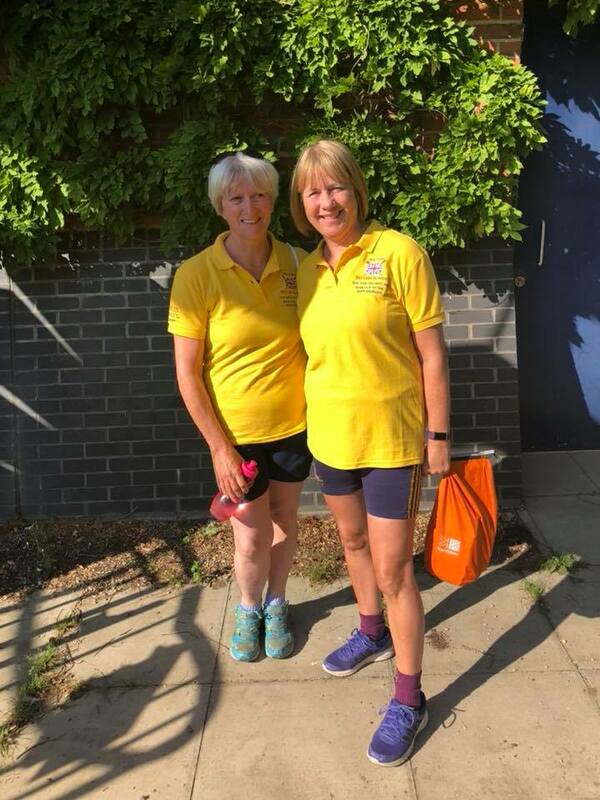 Among the hundred or so taking part in 20 coxed quads were Linda Forwood and Julie Kitson from DARC who joined rowers from Tyne United and Leeds RC, covering around 25km per day for the three day paddle, with 13 locks to negotiate. Other participating clubs included Nottingham, Broxbourne and Maidstone Invicta. 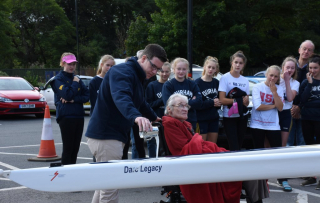 Funding for eight of the boats used was provided by Charles Stanley Wealth Management with whom British Rowing secured a 3-year sponsorship deal for Recreational Rowing in March. 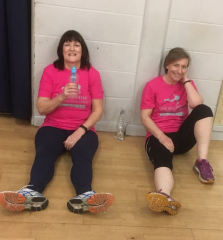 Julie was also fundraising for The Seashell Trust, a national charity supporting children and young adults with complex learning disabilities. Tourers were accommodated at a hotel in Oxford and enjoyed a gala dinner at St. John’s College on Saturday night. Touring can easily become addictive. Linda is already planning to visit Lithuania for next year’s BR European Tour. 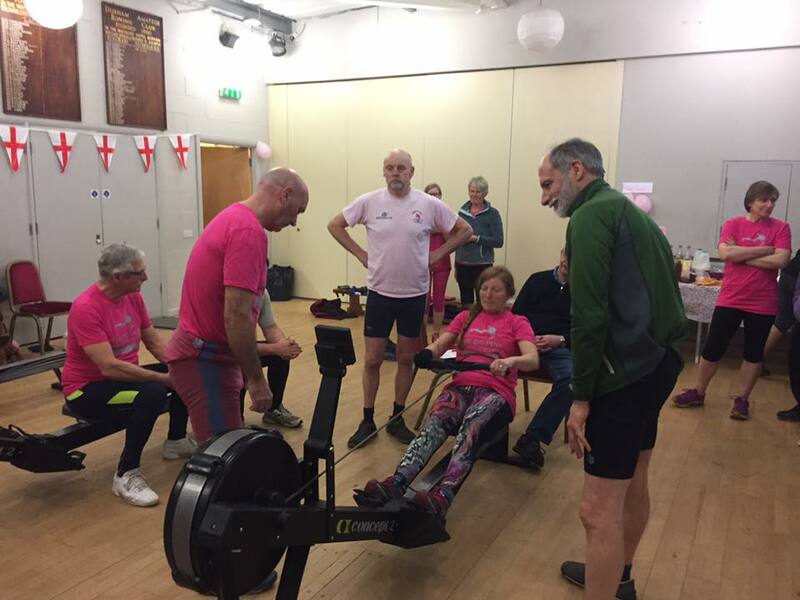 To find out more about the work of the Recreational Rowing Committee including details of forthcoming tours and events in the UK and overseas see the Recreational Rowing website. This entry was posted in Club News on September 3, 2018 by Colin Lawson. 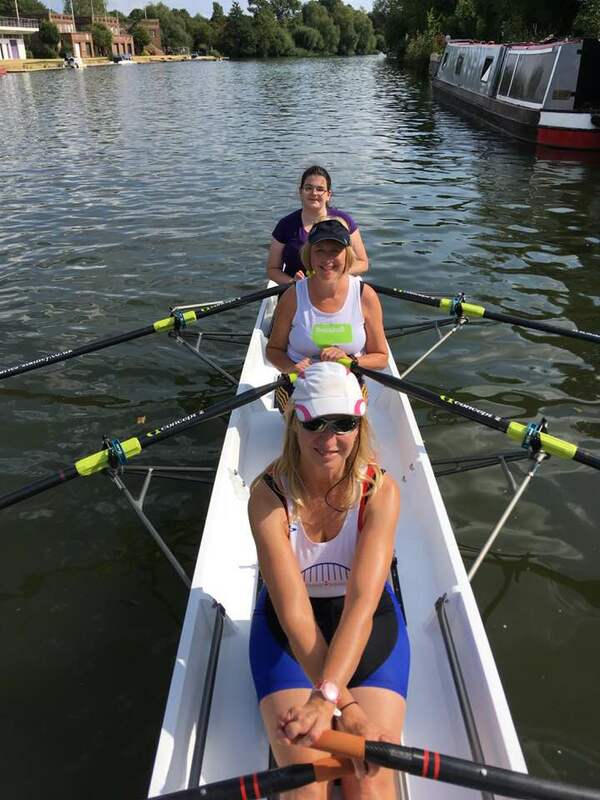 Durham ARC offers Sunday community rowing sessions for adults who have taken part in Learn to Row courses or the Allcomers Regatta. The aim of the sessions is to impove on the skills you have learnt and to develop them with the end goal of progressing to join squads within the club. Sessions take place each Sunday between 2pm and 3.30pm. Attendance is available to club members within their subscription and is also available on a per sesson basis to non-members upon payment of £5 per session. If you would like to join the sessions or require further information please email Beth Holmes at beth1411@googlemail.com. This entry was posted in Club News on July 16, 2018 by Colin Lawson. Courses are of 8 weeks duration and the cost of £95 includes a British Rowing handbook. A 5-day course for beginners aimed at young people aged 11 – 15 will take place from Monday 23rd July to Friday 27th July, between 9.00am and 11.00am each day. The cost is £65. This entry was posted in Club News, Uncategorized on July 2, 2018 by Colin Lawson.